The keyword of this book is simplicity. It is intended for those who want to practice magic but do not have the time or patience to read long theoretical books. 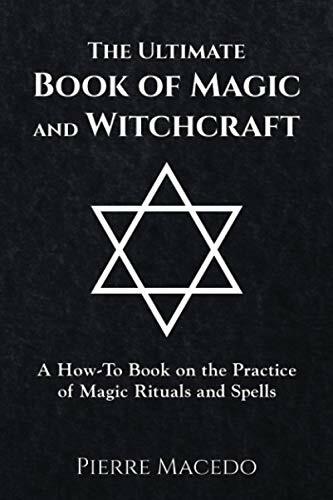 The Ultimate Book of Magic and Witchcraft will allow you to use magic immediately after opening it. It contains a variety of exclusive spells and rituals such as love, money, beauty, evocations, protection. No other book teaches the right way to evoke Lucifer and Michael. No other book gives a detailed beauty ritual for the Norse Gods Frey and Freya or a powerful love spell with the mysterious Lilith. No other author ever covered so many subjects, from love to planetary magic in a single work as Pierre Macedo did. Now you have in your hands the key to change the course of your life. Pierre Macedo is a practitioner and lover of the occult arts since he was 12. Born and raised in Brazil, he was initiated into magic at 15 years old. He currently shares his knowledge through books and articles, writing mainly about ritual magic.